“You learn early that you don’t get to prove your case with Boy Scouts and nuns. Yes, convicted felons will say anything to get out of jail, but they also know a lot.” Plea bargains may grease the rails of justice, but for Jamie Brock, prosecuting criminals is not about cutting deals. In her three years as assistant DA, she’s never plea-bargained a case and vows she never will. But when an infamous defense attorney is indicted for murder and devises a way to bring the entire justice system to a screeching halt, Jamie finds herself at a crossroads. One by one, prisoners begin rejecting deals. Prosecutors are overwhelmed, and felons start walking free on technicalities. To break the logjam and convict her nemesis, Jamie must reevaluate every principle that has guided her young career. But she has little choice. To convict the devil, sometimes you have to cut a deal with one of his demons. 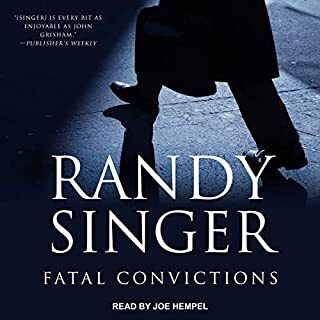 Audible classifies The Last Plea Bargain as "religious and inspirational" which it most definitely is not; it's not even close! Come on, Audible, you can do better than this. It is a legal mystery/thriller and it is a darned good one almost earning 5 stars. Assistant DA Jamie Brock faces a dilemma in trying a case. She must decide whether protecting the reputation of her now dead dad who was a famous attorney who she adored is more important than convicting a murderer. Tavia Gilbert does a great job narrating. When emotions are the part of the story and some think they are above the law you get a whole lot of different thought processes going on. An awesome inspirational mystery and journey through a Prosecutor's office. Randy Singer has written another super story. Tavia Gilbert is the perfect Narrator for this book. The story starts pretty slow but quickly picks up speed that lasts until the final words are spoken. 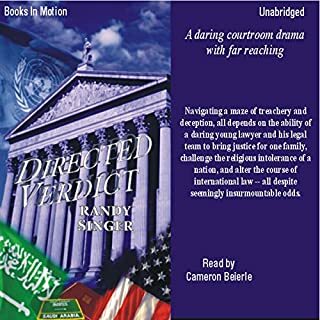 Excellent legal thriller with twists and turns that will keep you guessing. 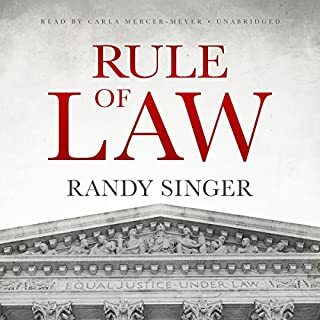 Great reader and another great listen by Randy Singer! Loves this book. Randy Singer is a great writer. I especially liked the unexpected twist. I struggled with this book. I found the narrator/main character to be a bit of a prude, someone I really didn't like. So I struggled to go with her on the story. But it did end with a bit of a twist. And overall was entertaining. I loved that the plot surprised me! It was an enjoyable story, that kept me interested until the end. If you could sum up The Last Plea Bargain in three words, what would they be? I love Randy Singer. This book was well read and entertaining. Kept me guessing to the very end. Loved this book. one of Randy's best. It kept me interested all the way through to the end. It was informative and had a good ending. I kept pace and loved the audible reader. She is one of the best I have heard. 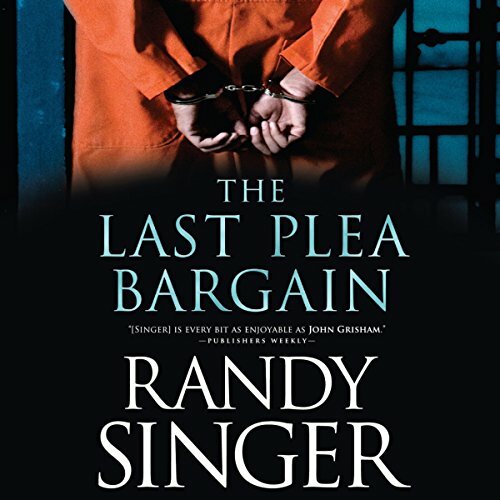 What made the experience of listening to The Last Plea Bargain the most enjoyable? The story was extremely well-written and the plot masterfully crafted. This is such a great audiobook that I missed exits several times while listening. Although the story line is somewhat complex it is written and presented in a fashion that lends itself to everyday readers/listeners. The best audiobook I have ever purchased. If you could rename The Last Plea Bargain, what would you call it? Randy SInger's books continue to get even better over time. Can't imagine how he could improve on this one. 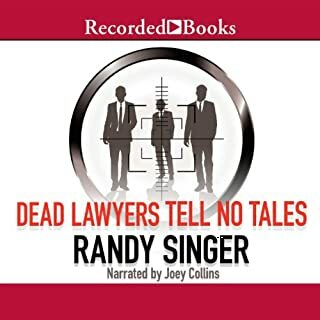 Another awesome Randy Singer book! Another great legal/christian story. The narrator was great, with emphasis & inflections appropriate when needed. I always enjoy Singer's novels & this was a truly a surprise ending! A book that has twist, turns and drama without being cliche. 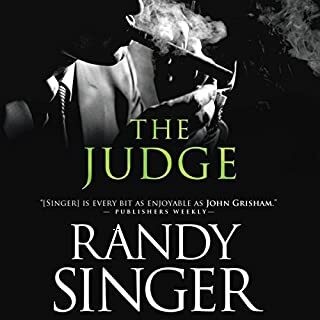 Randy Singer has over night become one of my favorite authors. I think Tavia Gilbert's narration is perfect for the character of Jamie and she isn't too shabby with male voices either.